In the mood to make a pledge towards a new and cool sounding gadget? Kickstarter’s technology section has hundreds of options out there but we’ve narrowed things down to 5 interesting projects that are currently ongoing. There’s a gadget for improving your audio experience, a way to make brushing your teeth more effective and much more. With the promise of placing you in a “private sound cloud,” Soundlazer VR is a new directional speaker that hopes to change your listening experience. Using planar wave technology alongside a unique physical design, the device provides high quality audio within the confines of where you’re sitting, protecting others from interference. It sounds like a form of headphones but you actually place it above you, escaping the irritants of cumbersome headsets. A pledge of $229 gets you the VR Junior unit with the full size costing $269. The campaign ends July 31. Everyone’s misplaced their keys or phone at some point, right? Pebblebee hopes to make it easier to track them down. The small and stylish device clips onto your keys like a keychain, offering a loud beeping alert and flashing red LED light when you’ve ‘lost’ your valuables. It offers a range of 200ft, as well as a year long battery life. Simply hit find on the app, or squeeze the finder device to ring your phone for you. It also offers last location detection details too. 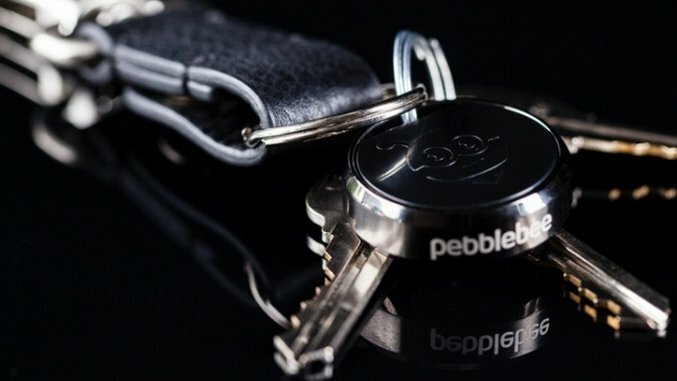 A pledge of $29 gets you one Pebblebee, with the campaign finishing July 28. Healthy and strong teeth take maintenance. GlareSmile is a new kind of toothbrush that ensures you use the correct brushing technique at all times. Utilizing 3 brushes that simultaneously brush across the surfaces of each tooth, in a matter of 10 seconds, the device teaches you how to brush correctly. It offers 3 different brushing modes, including an assisted brushing mode for those in need of help or additional guidance. Saving you potential pain and aggravation should immediately endear you to it. A pledge of €99 (about $112) gets you one of these, with the campaign concluding July 13. GoPros are great cameras for shooting footage wherever you are, but they have some limitations. Crocodile aims to circumvent one of those, by allowing you to shoot photos just like if you were a crocodile — above and below the water simultaneously. It doesn’t require any special modifications or adjustments, and slips onto your GoPro Hero 3, 3+ and 4 housing perfectly. It’s a simple way to capture some beautiful shots when you’re travelling. A pledge of $129 gets you one Crocodile accessory. The campaign ends July 25. In need of a security camera that does more than just record what unfolds? ATOM AR3 is an intelligent outdoor robotic camera that talks to you, detects human faces and utilizes smart 360-degree tracking. If it detects an intruder, it’ll ask them to identify themselves with face alerts sent to owners so that they can choose to approve them or activate an alarm. It’s dust and water resistant too. A pledge of $289 gets you one AR3 along with a one year cloud subscription plan. The campaign ends July 15.